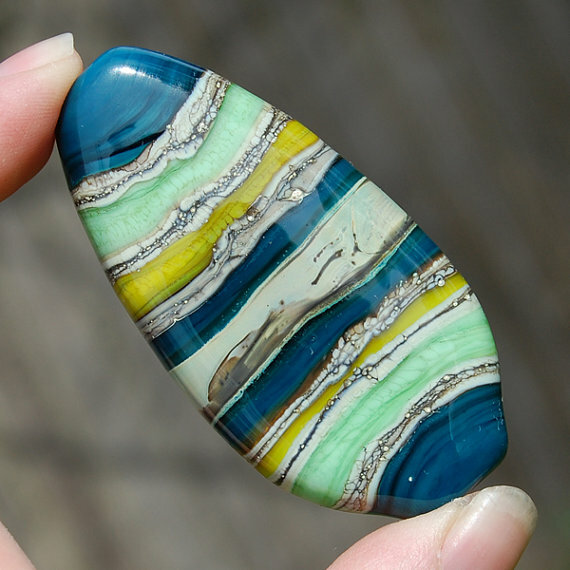 It's amazing that our glass bead artisans are always so timely and fashionable with their palette and designs! Just today, fashion forecasters announced that their pick for 2016 color of the year would be mint green... and your humble editor found this glass bead focal from Janel Dudley Beads featuring mint green! And the aqua in that focal??? Also popular for spring!